I'm Will and I live with Ford in The Orchard in southwest London, still a work in progress. 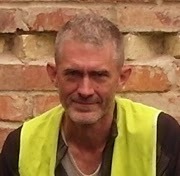 I am a writer, actor, builder and craftsman. 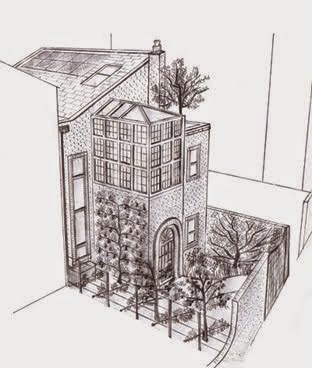 We are lucky to have the opportunity to self-build, especially in London. So I'm keen to make the most of it. The Orchard brings together interests that include architecture, ecological design, craft and gardening. This blog seeks to describe the many ideas that have informed the project and the everyday reality of construction. I have done this before. 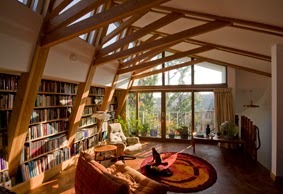 If you were looking for the treehouseclapham.org.uk website and found yourself here instead that's because Ford and I no longer own Tree House, the zero carbon ecohouse that I wrote about for The Independent newspaper nearly a decade ago. The website has gone but you can still buy the book Diary of an Ecobuilder (Green Books) which describes every detail of the build and our ecological approach. Tree House was - and is - a delightful building. Here you can see the morning light flooding the top room under the solar photovoltaic roof. Homes for a Changing Climate: Adapting our homes and communities to cope with the climate of the 21st century (Green Books) This book explores how we ought to take account of the impacts of climate change in house design. If you want a house built today to last the century, it makes good sense to plan for the climate we are likely to face throughout the century. Chapters cover topics such as floods, heatwaves, drought and storms. In researching this book I traveled the length and breadth of Europe to see how traditional builders cope with weather extremes, such as heatwaves in Seville and storms in the Western Isles. So lots of lovely photos. Green Up! 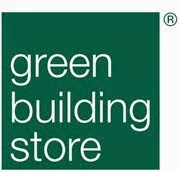 An A-Z of Environmentally-friendly home improvements (Green Books). A straightforward guide to green home improvements. 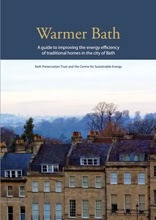 Warmer Bath: A guide to improving the energy efficiency of traditional homes in the city of Bath. (Centre for Sustainable Energy and Bath Preservation Trust) This is the product of a project I led when I was Senior Researcher at the Centre for Sustainable Energy in Bristol. In collaboration with the Bath Preservation Trust we consulted with local people about what energy efficiency upgrades they felt were acceptable for historic and traditional buildings in the city of Bath. Warmer Bath, the guidance we developed in response, is relevant to all pre-twentieth century housing in Britain. The project won a national award from the Royal Town Planning Institute in 2012. It is available free as a pdf from the Centre for Sustainable Energy (www.cse.org.uk). I love to think of you as a butterfly - may your fluttering be harmonious and happy!